Today Palestine is the name of the West Bank and Gaza strip, Those are not an official part of the State of Israel, indeed its true that they are a part of the Land of Israel, but this article is about the State of Israel, don’t confuse between the two. If some one want to write a article about the Land of Israel or Palestine he can do it as he wish, but don’t corrupt this article, please. Tzvi A, one of the prime conventions for the independence of a nation is international recognition. Taiwan is recognised by over 50 nations, Western Sahara is recognised by over 70, but neither of them are considered "official" by the United Nations. So this is invalidated. What, then, makes a nation? IS it self-government? This can't be, because surely Transdniester, South Ossetia, Abkhazia, Tamil Eelam, Somaliland, South Somalia, and Puntland are not independent nations, even though they are self-governing and "de-facto independent". So this says there really are no credible criteria for determining whether or not a nation is independent, or a nation. Again, Israel is Israel and Palestine is Palestine. Why should they be mixed in the same page? The symbols on this page should be only the official symbols of the State of Israel, Because the article is about the State of Israel. OR If you do want to put the Palestinian flag I suggest that this page will be renamed "the land of Israel/Palestine" to make it clear that what’s written here is about the land and not the state!So, The information Table will contain both Israel and the Palestinian authority. The new renamed article will have them both, but this article will be rename to “State of Israel” and only with the official Israeli symbols. 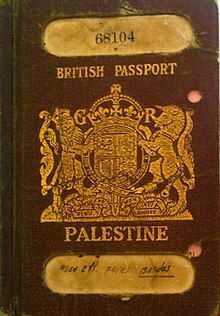 No one disputed the existence of Israel, but others did, apparently, deny the Palestinian State. The idea to create separate links for מדינת ישראל and ארץ ישראל is, therefore, fair, and will satisfy both aspects. 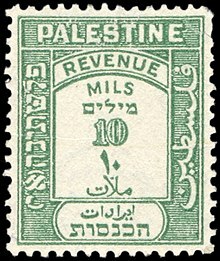 A Palestinian state never existed. That's a FACT. Umm. Şalom Şalom Şalom, Hhehehe...Can I learn your language? Your language is difficult. How can I learn??? You can contact with me I kiss you! דער בלאט איז לעצט געווארן רעדאקטירט 17:26, 26 יולי 2017.